A few days after releasing the Android 2.3 SDK, Google officially pushed Gingerbread to the Android Open Source Project (AOSP). Shortly thereafter, developers (such as the CyanogenMod crew) immediately started working on their custom ROMs based on the AOSP code (e.g. CyanogenMod 7). It has only been a few days since CyanogenMod released version 6.1.1, their most recent stable update, so it's still likely to be a few weeks before a stable release of CM 7 is available. Nevertheless, a group of eager CM developers and enthusiasts have taken the liberty of packaging early unstable releases of CM 7 (with Android 2.3 Gingerbread) for a variety of Android devices. Earlier this week, a video appeared showing an incomplete build of CyanogenMod 7 RC-0 running on the T-Mobile G2. The Gingerbread bits were ported from the AOSP code. While the phone was mostly functional, the camera/camcorder was not working, GPS was slow, Wi-Fi was buggy, and the soft keyboard was in Japanese. Also a BIG FAT WARNING for anyone going into CM7-land.. We are using EXT4 now, and it doesn't exactly play nice with the current release of Clockwork Recovery. Don't be surprised if you can't do backups, restores, or even flash anything at all afterwards. If you build it yourself it will spew out a version that works with ext4 (and only ext4, there's no interchangeable solution yet). Don't even think of bothering Koush about it. Soon after, another member of the XDA forums, ipfreelytech, compiled Gingerbread from source for the CDMA version of the HTC Desire by following the guide provided on the CyanogenMod Wiki. This port is primarily based on the AOSP code, rather than on CM. Also, the GPS radio, 3D video acceleration, video camera and Google contacts sync are not working in this build. CyanogenMod developer Koush recently released a semi-official version of CM7 for the Google-branded Samsung Nexus S. Although there were a number of ports of the Gingerbread SDK, Koush’s release is perhaps the most complete. Initial usage indicates that it is relatively stable, but be warned - it is still an alpha release and there are some issues. Soon after Koush’s release, another CM developer, lithid-cm, released a guide to compiling CM 7 with Android 2.3 for the HTC EVO 4G. Shortly after, a pre-compiled version of CM 7 appeared on the thread. Most of the hardware on the phone works, but there's no support for HDMI, 4G, lock screen animations, camcorder, MMS downloads and some LED lighting. It is also necessary to install the appropriate kernel for the phone. Although CyanogenMod is perhaps the most popular Android custom ROM, since the release of Gingerbread, a number of developers have used the raw 2.3 source code to create custom ROMs for a variety of other devices. Earlier this month, XDA forums member seo created a custom ROM using the AOSP code for the HTC MyTouch 3G / Magic. However, this initial release is not for regular use and extreme caution is advised before you flash your phone with this image. Nothing save for the the data, radio and Wi-Fi works using this build, so be wary. Many Android developers have a soft spot for the first Android phone: the HTC Dream. Recently, XDA forums member Dominating compiled a Gingerbread build for this device, but as with all the other builds, this one is slow and buggy. The latest version (0.2) of this port has a number of improvements, including support for Google Apps, Google Sync, Facebook integration and general interface improvements, as well as working Wi-Fi. This port seems to be updated quite regularly, so keep a look out for v0.3. 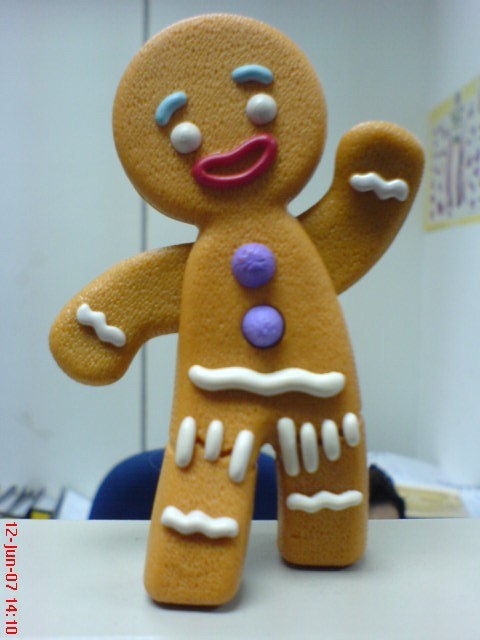 XDA forums member AdamG decided to create his own Gingerbread ROM, and came up with "Oxygen ROM." It too is built from the Gingerbread AOSP source. In his own words this ROM is "minimal, superfast and 99.9% bugfree". The ROM comes with Android 2.3.1 built from AOSP, all the latest Google Apps, and the latest Zeam Launcher. In addition, the ROM features a customizable power widget with the option of having the power widget in the status bar, FM radio, legacy A2SD with support for EXT2/3/4, support for connecting to Ad-Hoc Wi-Fi networks, and a number of other custom features. Team WeDoDroid successfully ported a stable version of Android 2.3 to the HTC Droid Incredible. So far, 5 versions of the ROM have been released, with the current being OMGB v6. As of now, the camera, GPS, and microphone are all working. The ROM also packs Facebook sync, lock/unlock screen sounds, a pull-down notification slide, multi-touch gestures in a number of apps, a full featured web browser, auto-correct in the soft keyboard, MMS support, USB mounting, and the MIUI music application. However, the camcorder, LED lights, and some apps still refuse to work, as Gingerbread is still relatively new. XDA forums member HCDR.Jacob has compiled an Android 2.3 basic emulator port for the HTC Wildfire. The build is still highly experimental and only the Wi-Fi, touchscreen, calling, texting, USB (for charging), and SD card are working. As of the v0.2a release, the sensors, camera, Bluetooth, audio (for media), USB (for storage), and most other features are currently not working. The Tech Demo ported an experimental build of Gingerbread to the Samsung Captivate. Most of Gingerbread's features are available in this port, however, as of now, the camera and GPS are not working at all. Additionally, the data and voice network has some connectivity issues and letting pone sleep with the Wi-Fi switched on may cause a kernel panic. This build requires you to be running a Android 2.2 ROM with "Voodoo5" enabled (or anything that converts /data to ext4). Either the Perception or Cognition ROM will work fine. While the port brings much of the Android 2.3 improvements to the Samsung Galaxy S, the build is not completely functional and is missing some key features such as Wi-Fi access, a working camera, and a working GPS. XDA forum member punk.kaos first ported Android 2.3 to the HTC Droid Eris in early December. Since then, his build has been refined over six versions and is now relatively stable. The data, radio, sensors (ambient, rotation, etc), LED notification lights, Wi-Fi, Bluetooth, OpenGL, speaker audio, and in-call microphone are all working without any major bugs. Finally, Daily Mobile recently featured a video from drunkdebugger that showed off Android 2.3.1 running on a Nokia N900. There is little information about this port; however, the video shows the device running without any apparent bugs, a full-featured web browser, and no network connectivity issues.